This year, Thanksgiving will fall on November 23, only two weeks away. 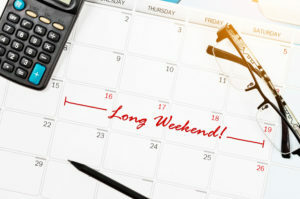 In some states though, the day after Thanksgiving is also a celebrated holiday, which leads to a much anticipated long weekend. You’re probably excited to relax and get together with your loved ones. In between family dinners and shopping, why not spend a part of the coming long weekend improving yourself and your career? These activities won’t take too much time but will have an impact to your career. Visit Lynda, Coursera, edX, or one of the many websites where you can learn a new skill for free or at an extremely low price. You can pick a skill related to your current job, or a life skill that you’ve always wanted to learn such as cooking or wood work. Continuous learning is one of the keys to staying sharp and competitive in any career, and it doesn’t hurt that learning a new skill also prevents cognitive aging. Now that you’ve learned a new skill, it’s time to display it proudly on your resume and LinkedIn profile. Some of the websites above give a certificate of completion that’s recognized by employers so don’t forget to add that to your LinkedIn profile. These certifications or badges are a good way to prove that you actually took the course, not just a phony claim on your resume. If the course isn’t related to your job, don’t add it to your resume and LinkedIn profile. But this doesn’t mean your profile isn’t worth updating. It may have been years since you last updated your resume so you may need to add a new job title and a couple of skills to reflect your career growth. Spring time may be over but you can still spring clean your resume. Soup kitchens will need all the help they can get to feed the less fortunate and homeless on Thanksgiving. If you’ve got time, drop by the nearest soup kitchen or shelter in your neighborhood so you can spend a couple of hours helping others. If cooking, washing dishes, or serving food isn’t your thing, try a different type of volunteer work. Volunteering is known to be good for the soul but did you know it’s also good for building your network? You can meet other professionals in your field through volunteer work, and some chance encounters can land you a job. If nothing else, volunteer experience can be used to fill employment gaps in your resume. Only one more month to go before 2017 is over. How are you getting on with your 2017 New Year’s Resolution? What happened to your big plans of getting promoted or moving to a better company? 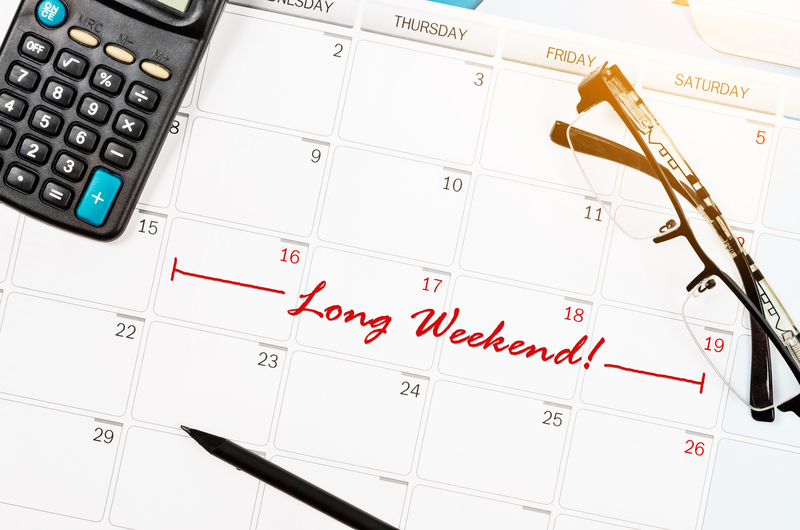 Even if you don’t do any of the activities on the list above, you should at least use this coming long weekend to evaluate where you are with your professional goals. Sit down and write what you’ve achieved, where you are lacking, and what you can still do before the year ends. You can still accomplish a lot before it’s time to write your resolutions for 2018.